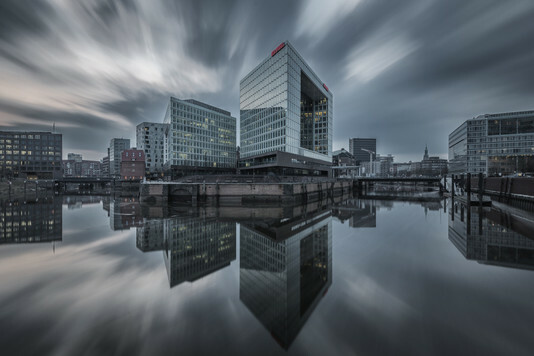 This image imparts a feeling of wonder and stability thanks to the centered composition with the largest building in the middle and use of a slow shutter to smooth out the clouds and water. The symmetry of the buildings on both sides and the whole reflected in the water yields a very cool kaleidoscope quality. Excellent! Wow, I am so surprised and excited to have won this competition, what an honor, thank you very much. My name is Guenther and I am from Austria. This shot was taken this spring in Hamburg, Germany. It was a windy, cold and cloudy day, perfect for a long exposure shot. I exposed for about a minute, postprocessing was done primarily in LR. Thank‘s again!! Perfect symmetry and the balanced weight of each component of the composition make this a very compelling image. Nicely done! Thank you! 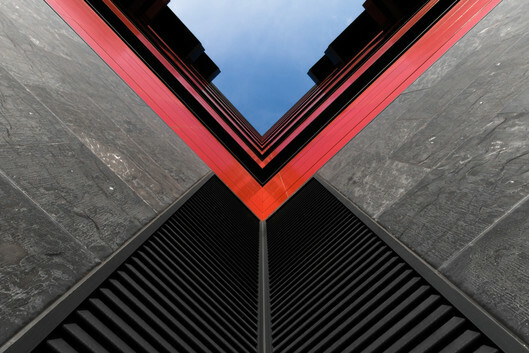 This is a photo of a modern building in my town, Vitoria-Gasteiz in Spain, taken from ground level up, in which there are red lines formed by the facades of the different floors and we can see some terraces in the form of black cubes, too. My name is Joseba Iriarte, and I took it using a Canon 80D camera with an Irix 11mm lens. Wonderful image and a nicely timed shot to catch the boat placed in frame. The processing of the image helps make the movement in the clouds more prominent which helps pull the composition together by implying movement of the boat, water, and even the trees. 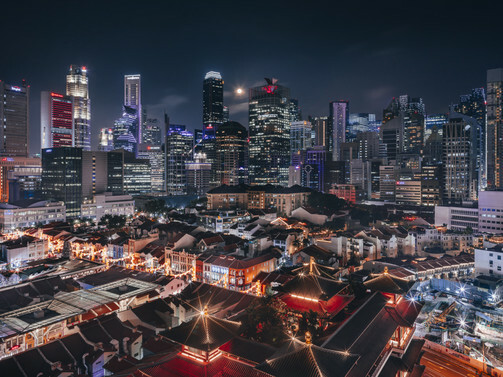 This fantastic city-scape has an excellent composition and is technically well executed. 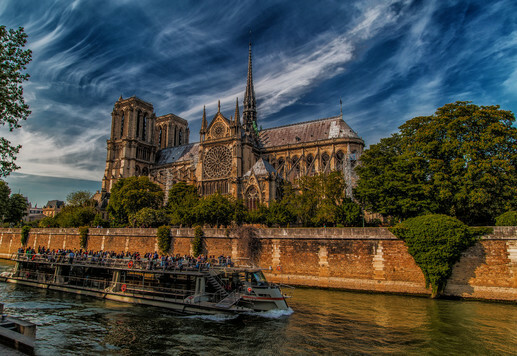 The repeating spires draws the viewer’s eye from the foreground to background building and this in turn leads into the ominous looking cloud formation. 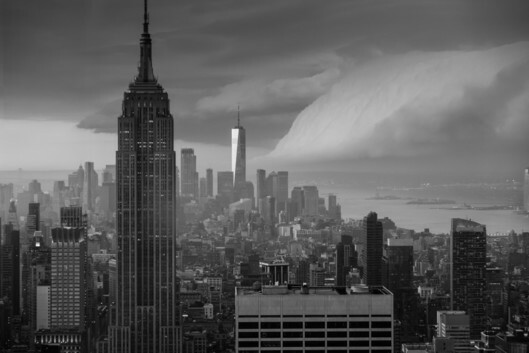 The shape of the cloud is interesting, and its shape inverted matches the recline of the skyline. Superb! 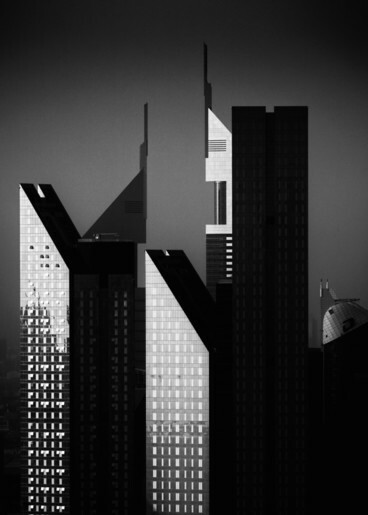 Reduction of tones to leave mostly white or mostly black works well in this image because that helps separate out the unique shapes of the buildings. These shapes play together lyrically in the composition. Wonderful! The composition works wonderfully with the different billboards playing off each other like a collage laid out on a sea of red. Very nicely done! This image has a soft quality to it that imparts a dreamy feeling that is also aided by the lack of people in the frame. The centered composition also adds a sense of stability. 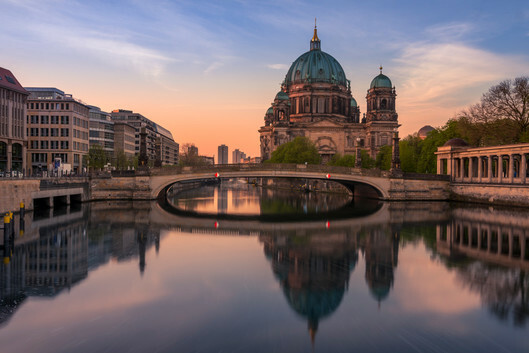 My name is Claudio de Sat and I am primarily located in Berlin, where this photo of the cathedral was shot, as the first rays of sun illuminated the building. The post-processing was done in camera RAW. I exclusively use Sony mirrorless cameras. 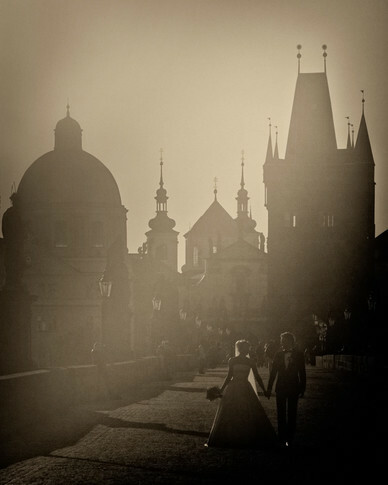 This fairytale wedding image with lots of memory factor instilled by the faded, hazy look has an excellent composition. The converging lines of the buildings, fence, path edge, shadows, and row of street lights all direct the viewer’s eye toward the bride and groom very effectively, but also provide paths for the eye to circulate. Excellent! 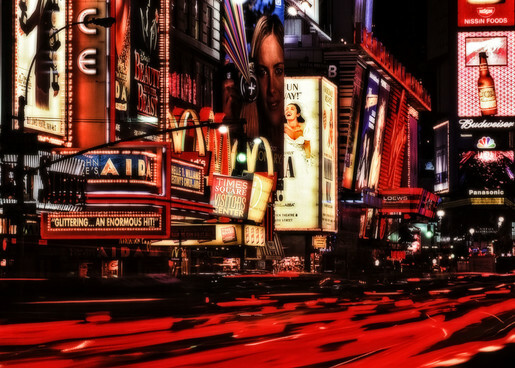 Beautiful night-time city-scape! This image is well composed with the vertical lines of buildings in the background diagonal lines in the foreground. The red patches in the buildings also help to circulate the eye. Great job! What would a city be without people? A city that is different from one’s own is always interesting. 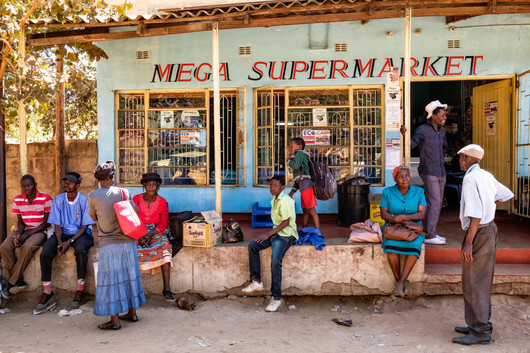 This photo engages the viewer by allowing them to ponder what the people in the frame are doing – are they dressed up for an event, or is this their normal attire? Could they be waiting for a bus? Nice Capture! I took this picture in Lupane, Zimbabwe, during a short break of the bustransfer From Bulawayo to Victoria falls. It's indeed a sort of busstation/hub where (chicken)buses from different directions come together.